Recently, we did a large sample national survey of donors in the United States. We asked a wide variety of questions on planned gifts and their answers were surprising. First, is the untapped resource for planned gifts. 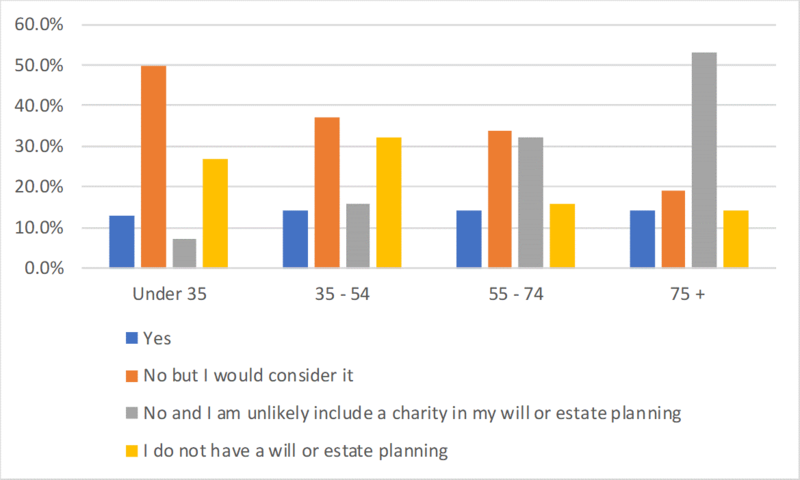 In our survey, over one-third of respondents indicated that they currently do not have charitable giving in their will or estate but would consider adding one. Strikingly, that was twice as many people who have indicated they have already included a charity in their estate. Think about that. That means potentially for every planned gift you have already secured, there are two more out there just waiting on you to ask them. So first, ff you don’t already have a plan to land more planned gifts from your donors, you really need to make that your first priority. This shows the correlation between income and making an estate gift. 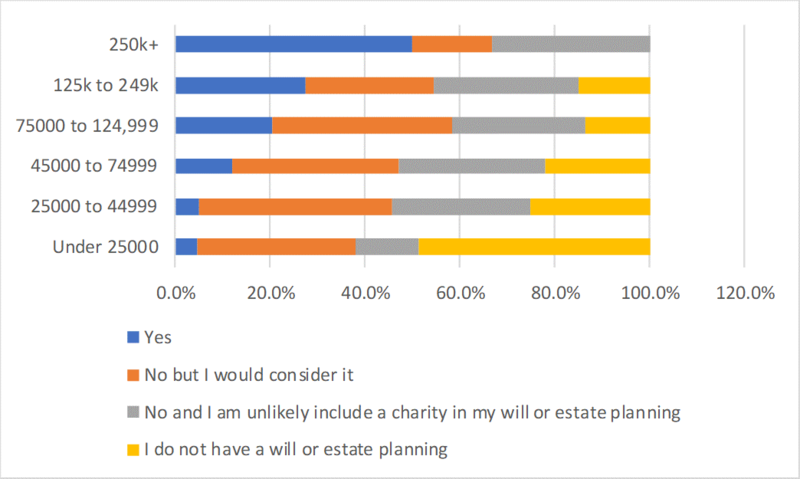 Not surprisingly, the higher the annual income of the donor, the higher the probability they have already included a charity in their estate plan (blue bar). But what’s surprising is that the biggest opportunity for winning new estate gifts (orange bars) are from donors from $75,000-$250,000 annual income group. Usually, most charities go after their most wealthy donors when prioritizing estate gifts prospects. Our survey data shows that if we lower the income bar we will close more estate gifts. 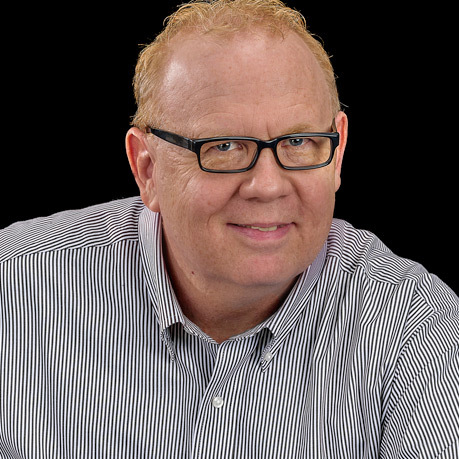 Lastly, one question that is often debated in developing a model for identifying planned giving prospects is whether there is an age ceiling. The results from our survey seems to suggest there is. Once a donor reaches 75-years old, their likelihood to consider adding a charity is half of what a donor under 75 years is. Of course, you may have to wait longer to realize the gift. But your likelihood of securing the gift will be higher if you target donors under 75-years. So, in conclusion, if you don’t have a plan for capturing more planned gifts, you really need to make it a priority to create one. Secondly, if you have a plan, you may review it and make sure you aren’t aiming too high on the income and age continuums. Our study shows that donors under the age of 75 who have incomes under $125,000 may be your best prospect audience.